Smallholder coffees excelled at the 2018 Papua New Guinea Coffee Cupping Competition, with top lots achieving over 85 points on Specialty Coffee Association (SCA) scoresheets. 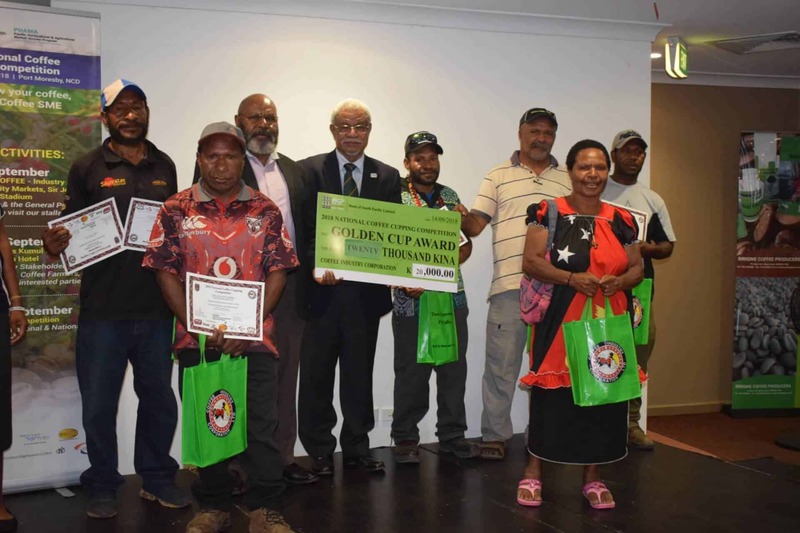 This is the third annual event organized by PNG’s Coffee Industry Corporation (CIC), in partnership with the Australian Government-funded Pacific Horticultural and Agricultural Market Access Program (PHAMA). From September 10-13, sixty-seven (67) coffee samples were collected from Eastern Highlands, Enga, Jiwaka, Morobe, and Simbu Provinces. All were evaluated by a panel of twelve judges, including five national cuppers and seven international cuppers from Australia, Hong Kong, Japan, Singapore, and Thailand. Coffees were evaluated blind using SCA cupping protocols and recorded by judges using Cropster Cup software. The top 20 finalists scored an average of 84.57, including 8 lots that were over 85 points — all from smallholder communities. Work is continuing on the program for next year, expecting wider participation, higher scores, better access to the communities and coffee — subsequently more differentiated specialty sales generated for community coffees. With the high cost of production in PNG and commodity prices at current levels, this has been a challenging year for farmers and exporters. Read more about the challenges of the PNG coffee market in the PHAMA study published earlier this year. At an awards ceremony on September 14, CIC Chief Executive Officer Charles Dambui awarded development funds and equipment to groups in tiers achieving 83, 84, and 85 points or higher in recognition of their performance. A roadshow of winning lots is being organized by Liberty Coffee of Singapore, with tastings expected in Bangkok, Hong Kong, Indonesia, and Perth in November and December. For more information, visit Liberty Coffee’s Instagram page.